Justin read 12 books of his goal of 10! Justin read 47 books of his goal of 7! Justin read 13 books of his goal of 6! Justin read 10 books of his goal of 5! Justin read 5 books of his goal of 5! 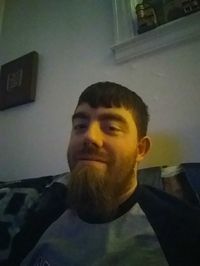 Unique Writer, Living Poet and Determined Author by day and night, I have always been told I have a way with words and very vivid imagination. I thought If I could take my creativity and combine it with my new love and appreciation for poetry that the possibilities could be endless. I have a background in Creative Writing that's come in quite handy over the years. I am a passionate poet and proud author of five books. I also have over a dozen of short stories and poems in anthologies and magazines. When I'm not writing I'm usually trying to promote and market my books. I run a blog here on several of the horror groups called "Hundred Year Old Horror" where I talk about classic books and authors of centuries past. When I'm not doing anything Unique Writer, Living Poet and Determined Author by day and night, I have always been told I have a way with words and very vivid imagination. I thought If I could take my creativity and combine it with my new love and appreciation for poetry that the possibilities could be endless. I have a background in Creative Writing that's come in quite handy over the years. When I'm not doing anything book related my interests usually include watching sports (Football, Baseball and Basketball), learning about History, Ufology, Egyptology, The Wild West as well as the bizarre and things unexplained. To ask Justin Bienvenue questions, please sign up. Did you choose to write in the genres you do? Or did the genres choose you? 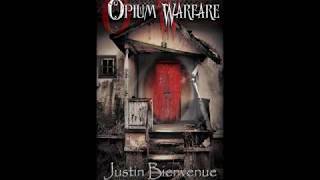 Justin Bienvenue I took an interest in poetry and I chose to write within the genre. I had read plenty of poetry but one day without having read any in a while just…moreI took an interest in poetry and I chose to write within the genre. I had read plenty of poetry but one day without having read any in a while just decided to write a poem and it took off from there. So in that sense I chose the genre. Do you have a set goal you want to reach on the anount of books you want to publish? Description: A dark and gloomy tale about the effects of the infamous addictive narcotic which becomes even more lethal when it falls into the hands of the deadly and deranged.. Description: A series of 100 word stories of the classic film and recently rebooted franchise, The Planet of the Apes. 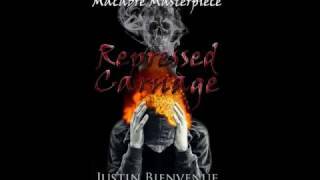 Description: A short story about a society driven into the ultimate depths by a plague of the undead..
Justin is 50% done with Dracula: Dear God! I never thought reading this book would feel like such a chore. Van Helsing praises Mina but rather than talk about Lucy he talks about Jonathan??? Huh?? Also who the hell talks like that and praises people they don't know? Oh how society has changed. ..
" I saw the new Pet Sematary and I knew I just knew how it was gonna end lol. I didn't hate it but it was kind of missing something and just wasn't as c I saw the new Pet Sematary and I knew I just knew how it was gonna end lol. I didn't hate it but it was kind of missing something and just wasn't as creepy as the original. Saw the new Suspiria after I'd seen the original a few months back and aside from the beginning and Dakota Johnson looking fine as hell I didn't like it toward the end it was all over the place and messy. ...more "
" Latasha wrote: "well i bought it. lol." I did not read it so I don't know and wow I enticed you into buying a copy based off this? My week's been made! Latasha wrote: "well i bought it. lol." I did not read it so I don't know and wow I enticed you into buying a copy based off this? My week's been made!. lol ...more "
" Thought I’d take a different approach to Hundred Year Old Horror today and look at an anthology published in 2012 but has stories from 1838-1896. It’s Thought I’d take a different approach to Hundred Year Old Horror today and look at an anthology published in 2012 but has stories from 1838-1896. It’s called Terrifying Transformations: An Anthology of Victorian Werewolf Fiction, 1838-1896. The anthology contains 15 stories about lycanthropy and features many well known authors such as Bram Stoker, Sir Author Conan Doyle, William Butler Yeats and W.M Reynolds. An anthology dedicated entirely to werewolves is something truly unique and showcases old stories from well over one hundred years ago. The book also features a new introduction, explanatory notes as well as rare Victorian werewolf illustrations. So how does such a unique rank here on Goodreads? Well lets find out! The book has 13 ratings and 1 review on Goodreads. It has an average rating of 4.38 meaning most reviews are either 5 or 4 stars which is well above average. This also means the book has hardly any ratings under 4 and is very well received by readers as it should be being such a rare and unique book. The book is being shelved under horror, shapeshifters and werewolves as well as speculative fiction. One thing I can immediately draw from all this is that people really enjoy werewolf fiction today and since horror has become so big these days it’s no surprise that this book would be ranked so well. I also cannot stress enough how rare a book solely about werewolves really is. Especially since it comes from stories that were written so long ago. So how do you think this book ranked back in the day? Horror stories weren’t as popular back one hundred years ago as they are today so most likely these werewolf stories weren’t as well received as they are now. Horror may not have been big back then but these stories must have pulled some weight as they have stood the tet of time and are still being read today, heck they were republished to be enjoyed today. With added features such as notes for readers to better understand some of the language back then these werewolf stories are a sure treat for horror and werewolf readers alike. Valancourt Books once again shows that fiction from hundreds of years ago needs recognition and needs to be appreciated and they have done just that by republishing this anthology of classic lycanthropy and horror stories. ...more "
I'm the author of this book so this is not a review but rather some fun additional information I thought I'd share about the book. Fun Fact #1: The Wax Factory will be my first true book series. It is part 1 of a 3 book seri I'm the author of this book so this is not a review but rather some fun additional information I thought I'd share about the book. Fun Fact #1: The Wax Factory will be my first true book series. It is part 1 of a 3 book series. Fun Fact #2: My main character is somewhat based on my own characteristics but is more his own type of person. Fun Fact #3: Research showed me that a wax factory once existed in New York however there wasn't much on what they did there. Fun Fact #4: Some of the books inspiration comes from House of Wax(1953), Crimson Peak, Several Universal & Hammer Horror films as well as the book The Strange Case of Dr. Jeykll and Mr. Hyde and Dracula. Fun Fact #5: Chapter 6 is the most young adult piece of writing I've ever done! Fun Fact #7: The book is a horror novel and also is considered as a gothic horror novel with a little bit of paranormal sprinkled in. Fun Fact #8: While the idea came to me in late 2017, it took me over a year to write. Justin added a status update: My 6th novel, The Wax Factory will have it's cover reveal next Monday! It will also be listed here on Goodreads! Thanks for the friendship Justin!